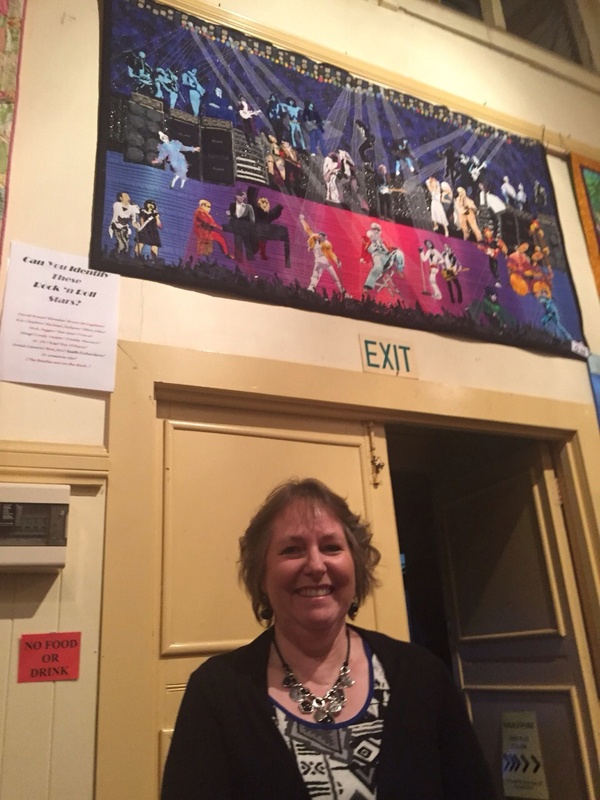 So I’ve been AWOL for a couple of weeks but much has been happening. I’ll have to tell you about all that in another post because this one is to let you in on the goss. 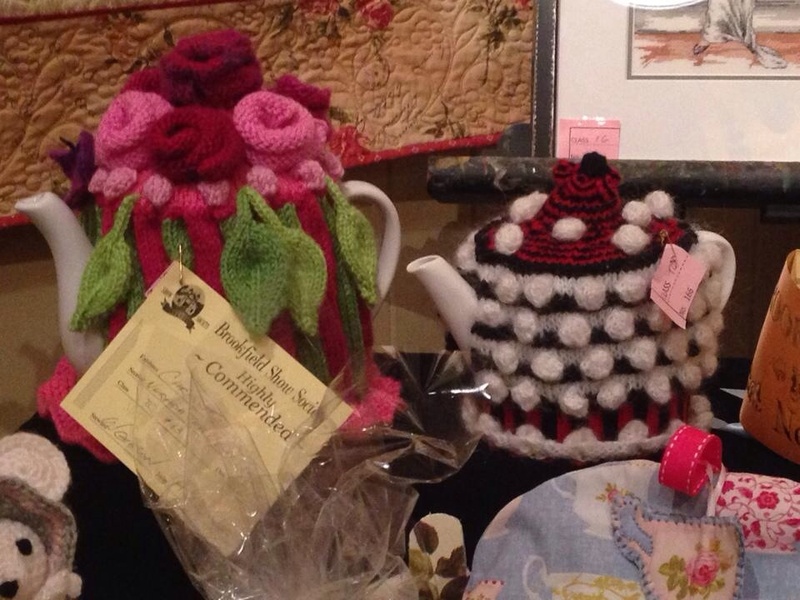 The Brookfield Show is on tomorrow and Sunday and if you happen to drive out there for a weekend excursion make sure you check out the building with the needlework and quilt entries. 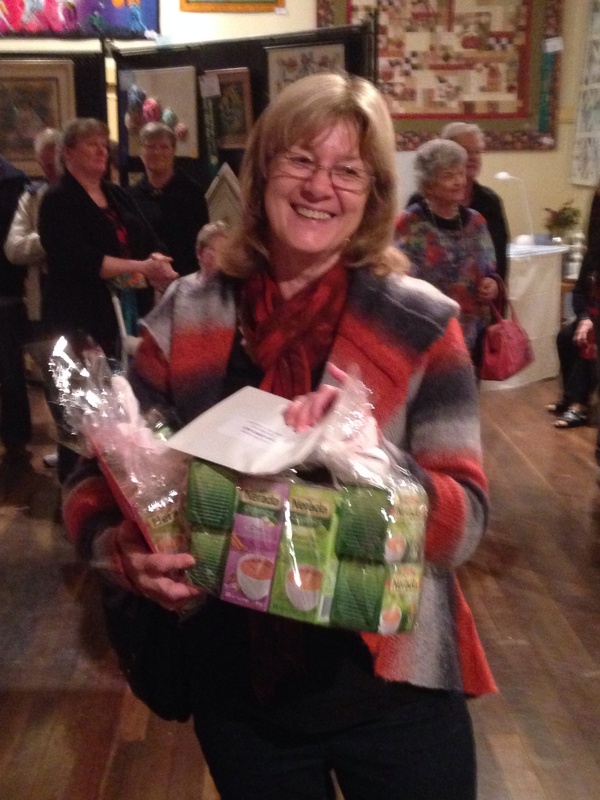 Firstly Chris won two prizes with her wonderful tea cosies. 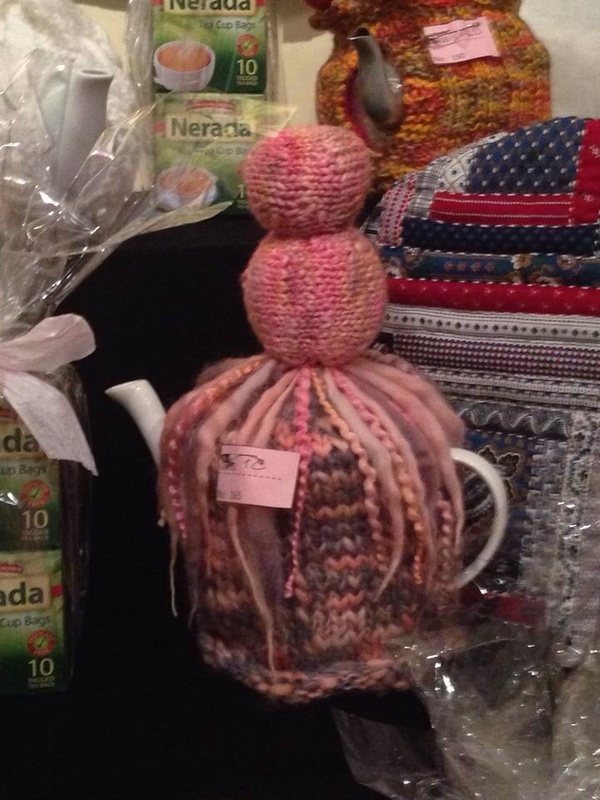 She entered the tea cosy challenge sponsored by Nerada. Can you tell it was sponsored by Nerada? 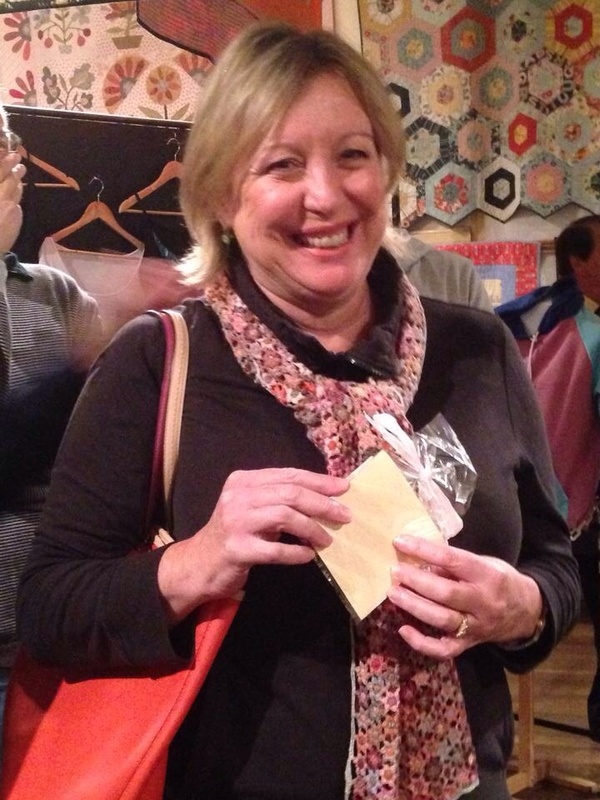 Next the amazing Lesa won two prizes for her awesome, hand-pieced hexagon marvel – best in her section as well as Best use of Colour. 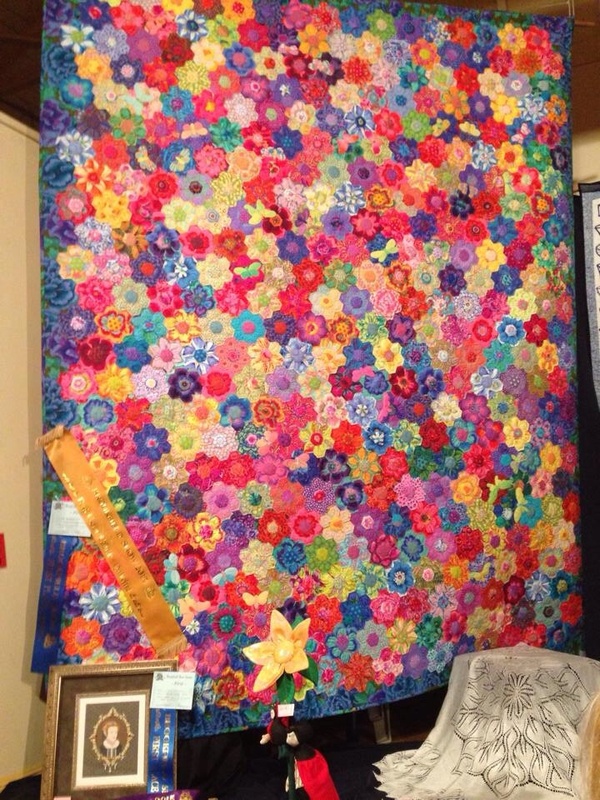 And finally… Part of the reason for my silence over the past fortnight is because I was finishing this quilt – my entry for last year’s challenge. 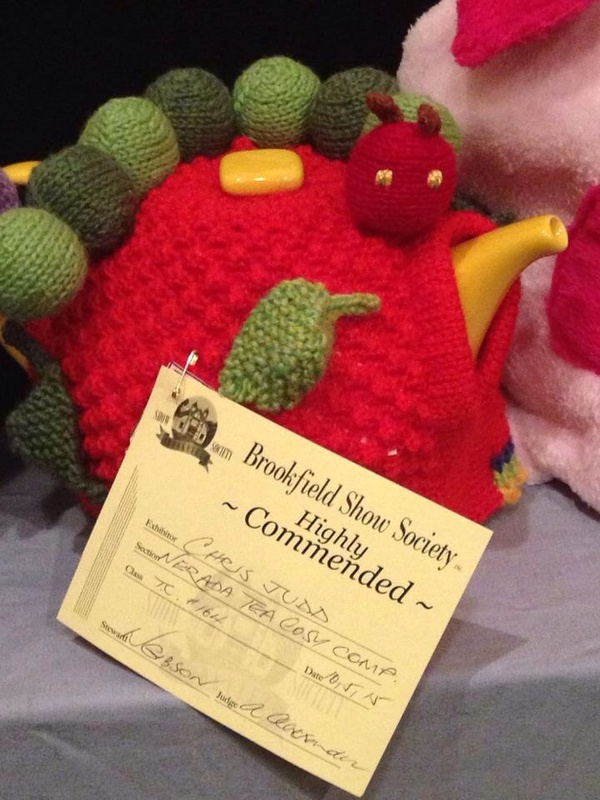 Bowing to pressure from several people I entered it in the Art/Pictorial section of the show at Brookfield and was very pleased to win first prize! 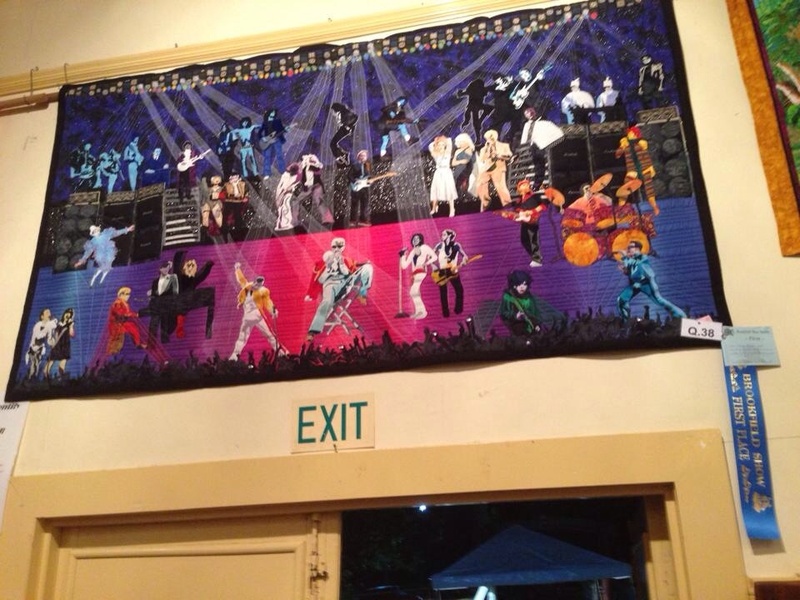 Go and have a look at the show, not just the Apatcheez creations but also the other beautiful works that you’ll find there. Make sure you wear your winter gear though because it was quite chilly on Thursday night. Not that we cared – we were too busy jumping for joy! 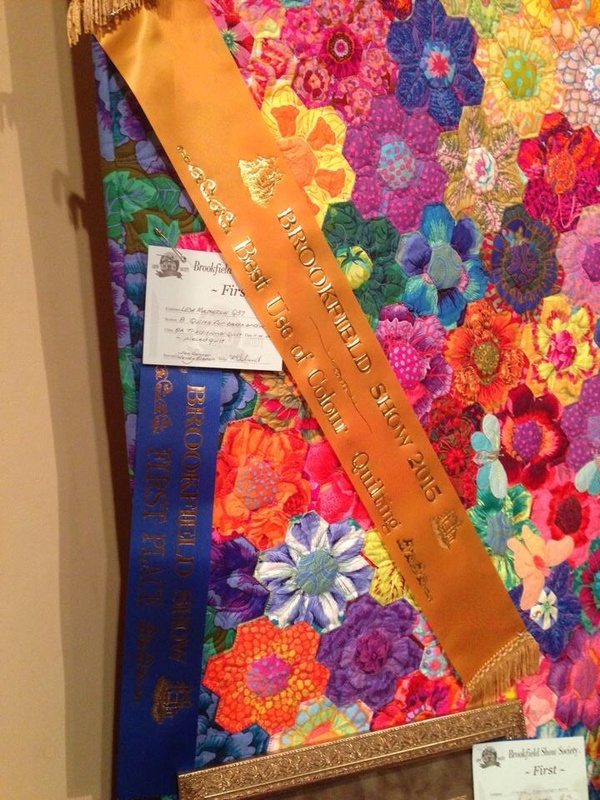 This entry was posted in Events, Quilt shows and tagged Brookfield Show by Apatchy Kaye. Bookmark the permalink. 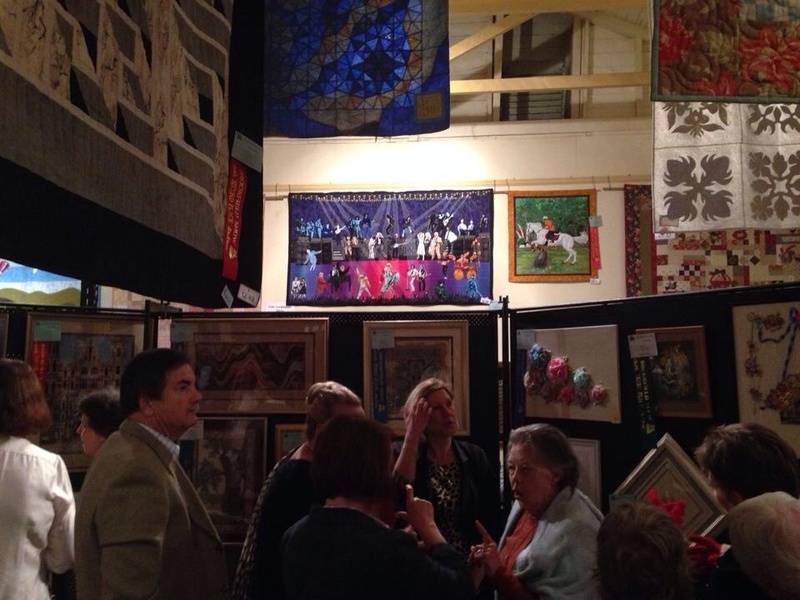 Kaye, Thanks so much for all the news and the wonderful photos of the quilt show. What wonderful news, you girls did so well with each of you winning in the various sections. I sure hope some of the talent rubs off onto me in the future. CONGRATULATIONS to each and every one of you. Dee. WOOOOHOOOO Apatcheez rock. Congratulations to you all.